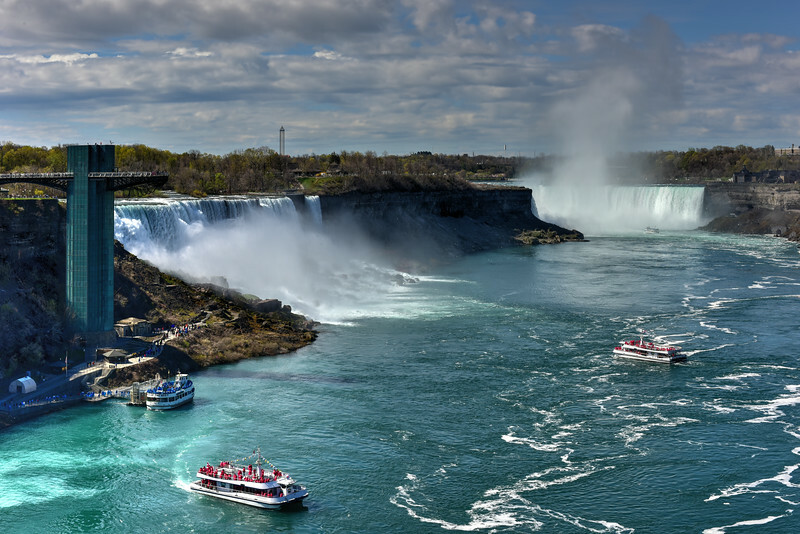 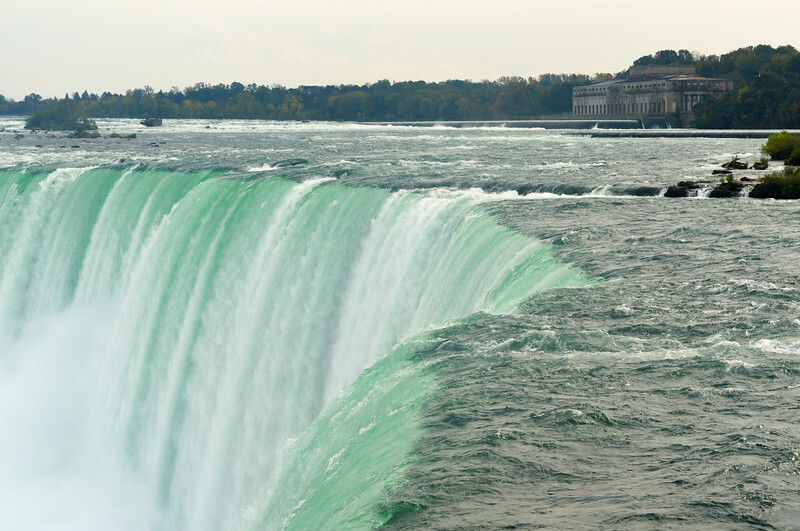 Horseshoe Falls, a part of Niagara Falls, In Canada. 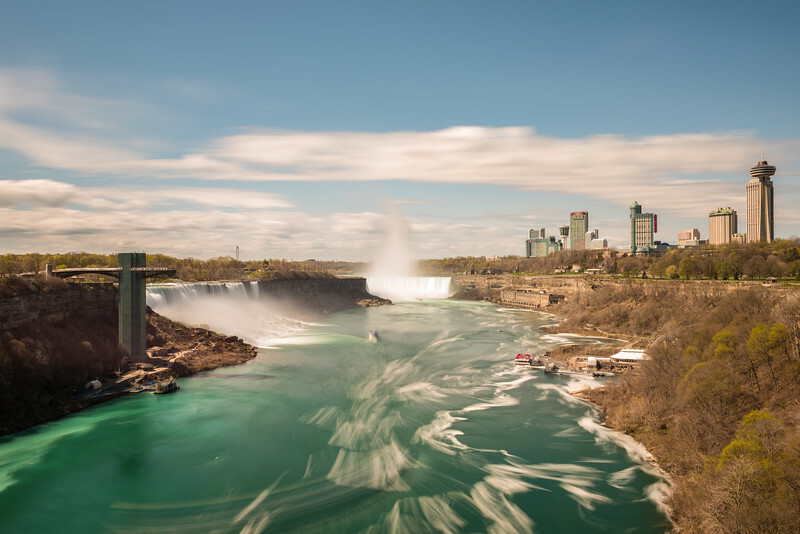 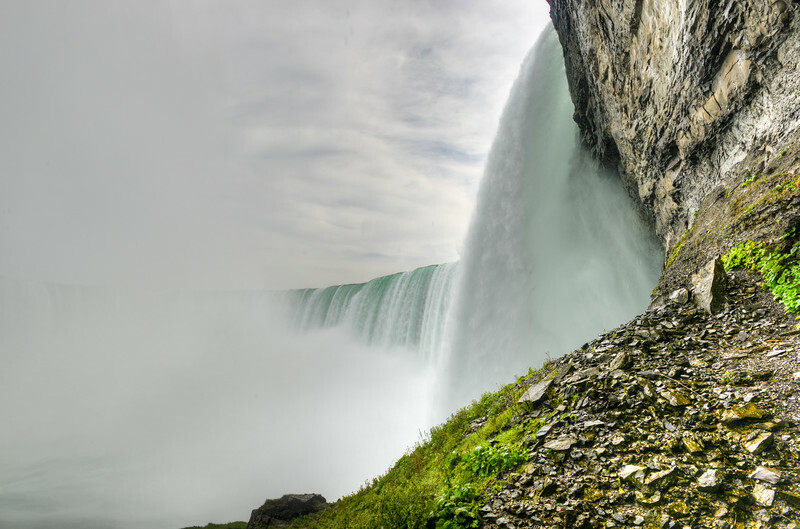 View of the underside of Horseshoe Falls, a part of Niagara Falls, In Canada. 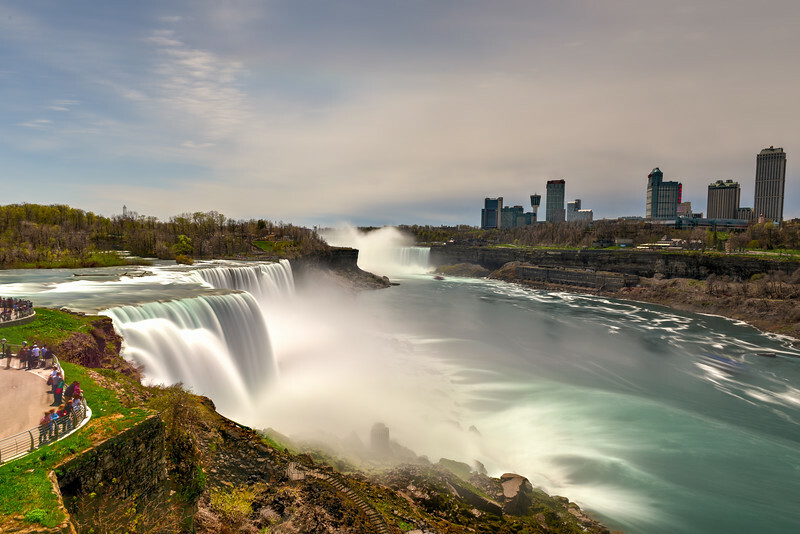 The American Falls at Niagara Falls, New York. 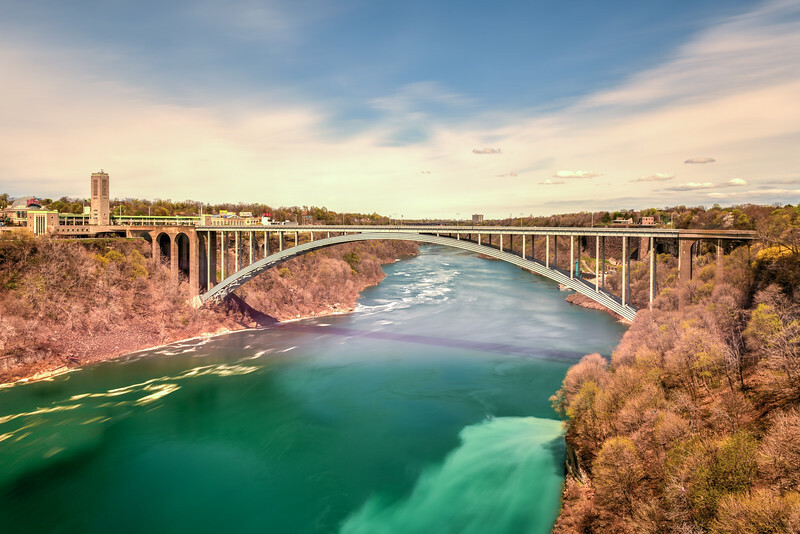 The Rainbow Bridge connecting Canada and USA at Niagara Falls, New York. 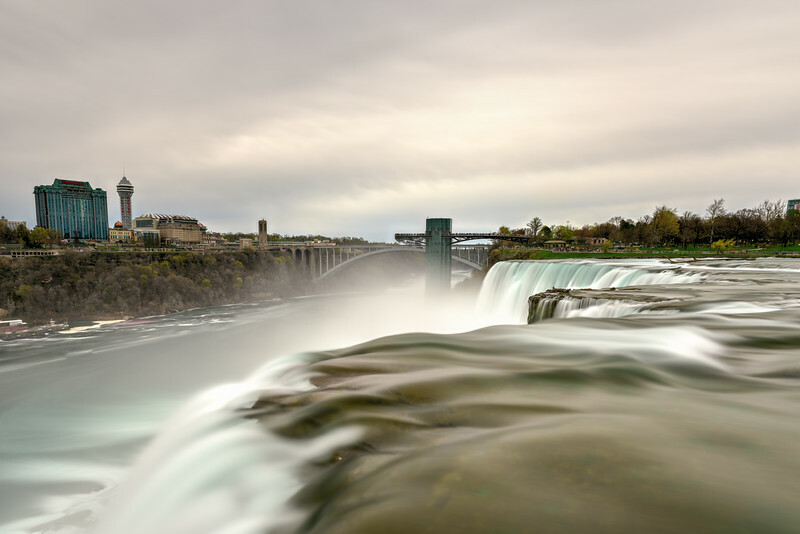 The American Falls at Niagara Falls, New York viewed from Goat Island on a cloudy day. 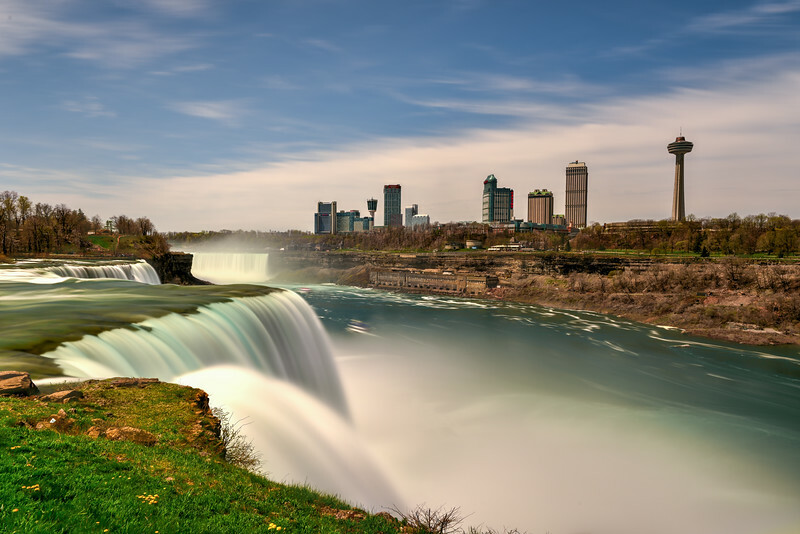 The American Falls at Niagara Falls, New York viewed from the Rainbow Bridge. 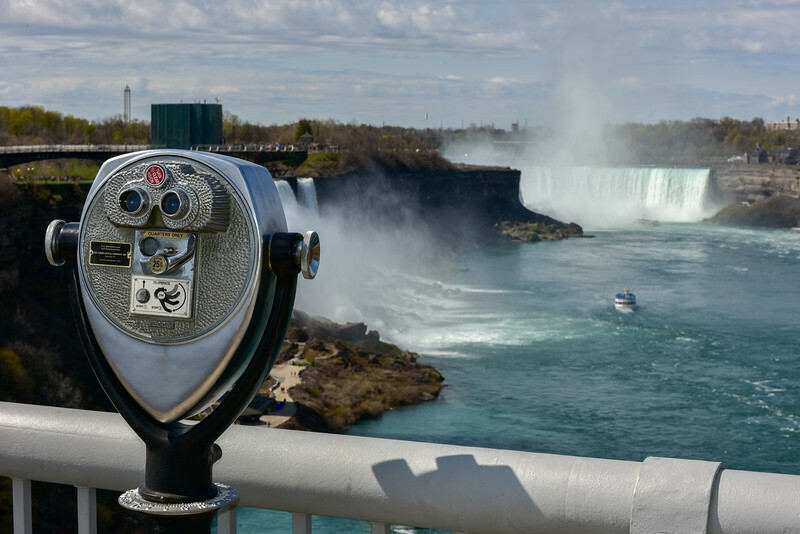 Niagara Falls viewed from the Rainbow Bridge at the border of USA and Canada. 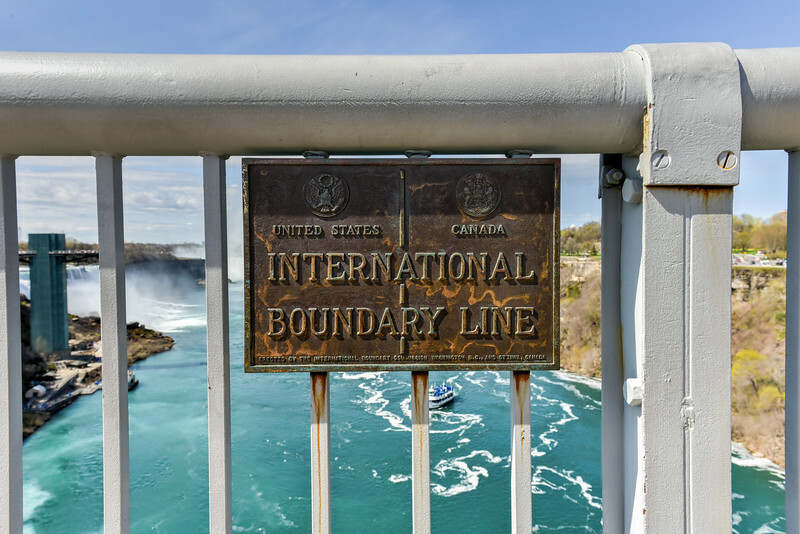 International Boundary Line between the United States and Canada on the Rainbow Bridge at Niagara Falls. 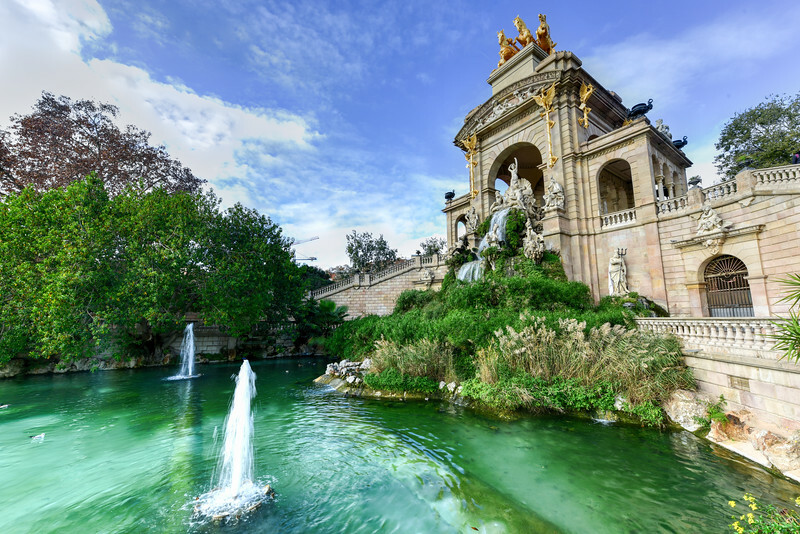 Fountain at the Parc de la Ciutadella. 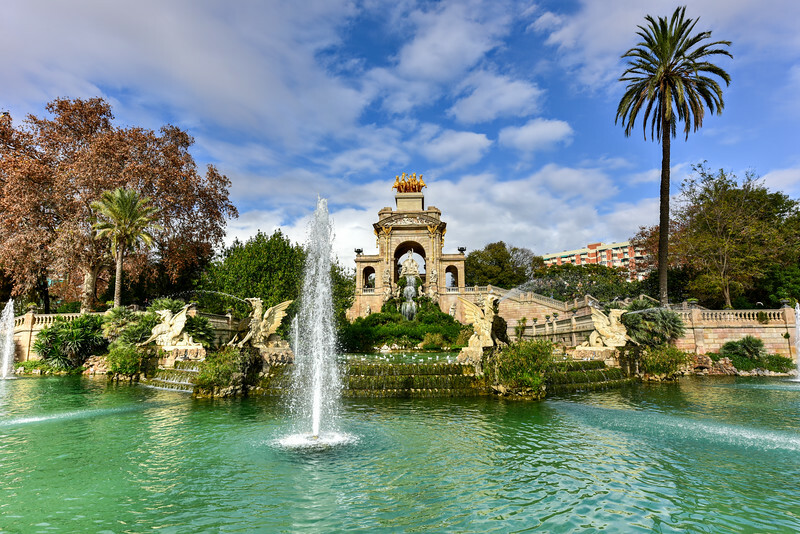 It is a park on the northeastern edge of Ciutat Vella, Barcelona, Catalonia, Spain. 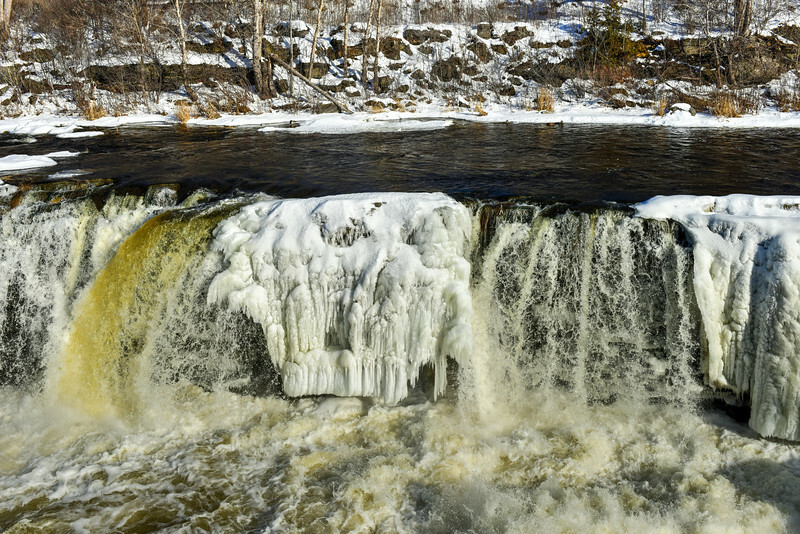 Hog's Back falls located on the Rideau River in Hog's Back park in Ottawa, Ontario Canada frozen over in winter. 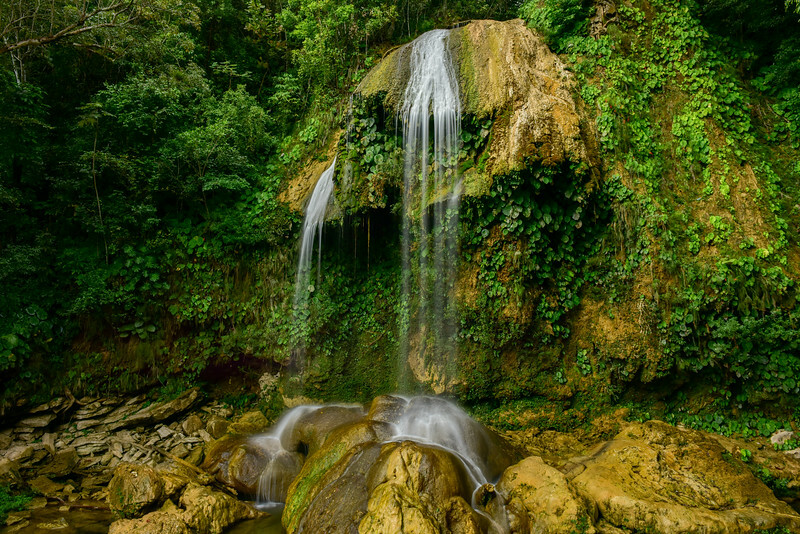 El Nicho Waterfalls in Cuba. 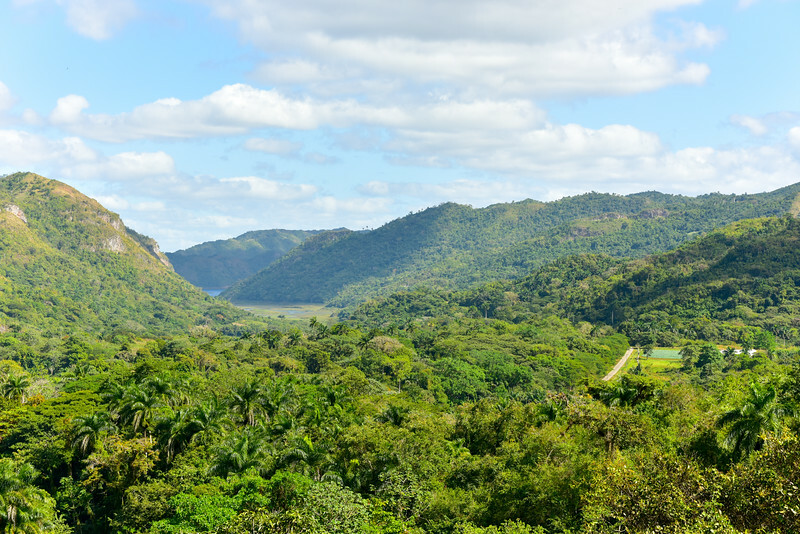 El Nicho is located inside the Gran Parque Natural Topes de Collantes, a forested park that extends across the Sierra Escambray mountain range in central Cuba. 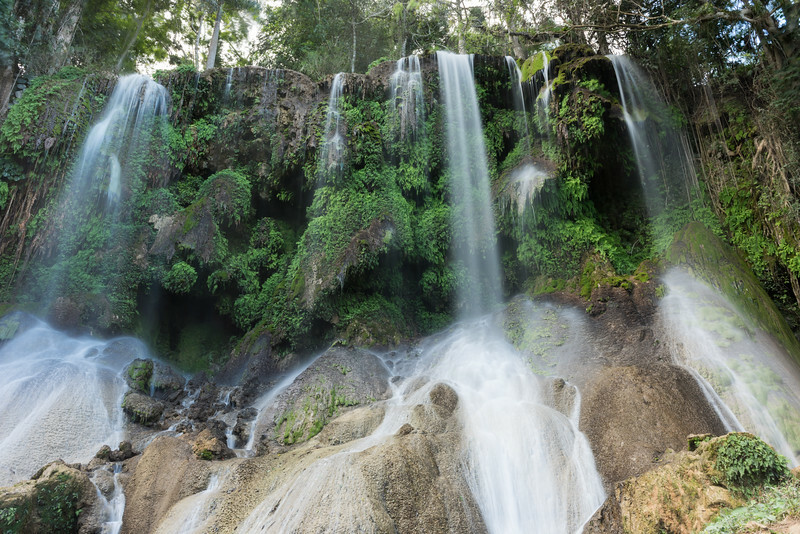 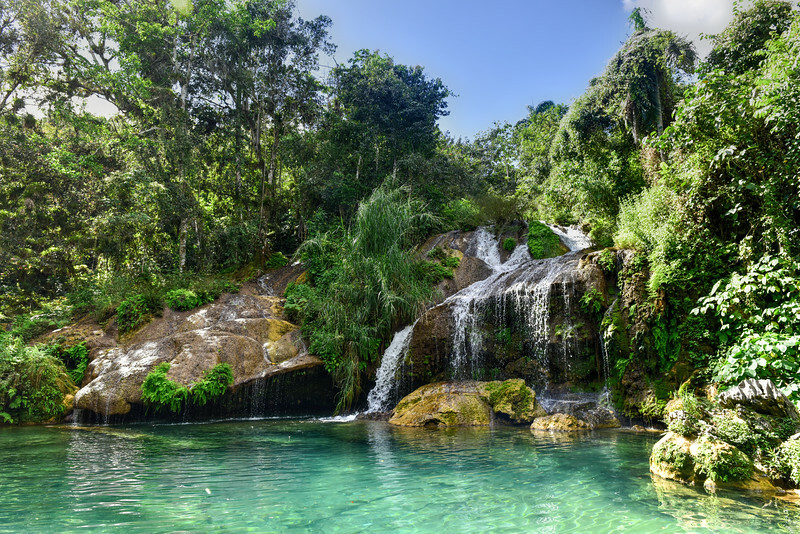 Soroa Waterfall in Pinar del Rio, Cuba. 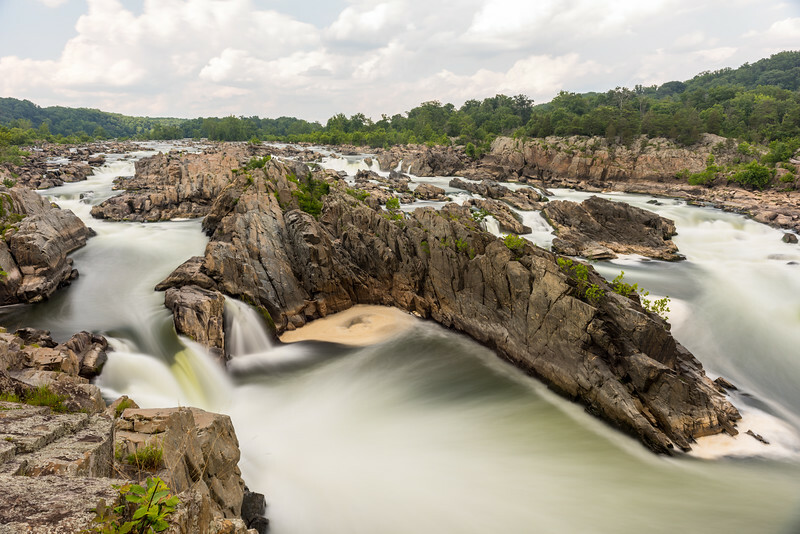 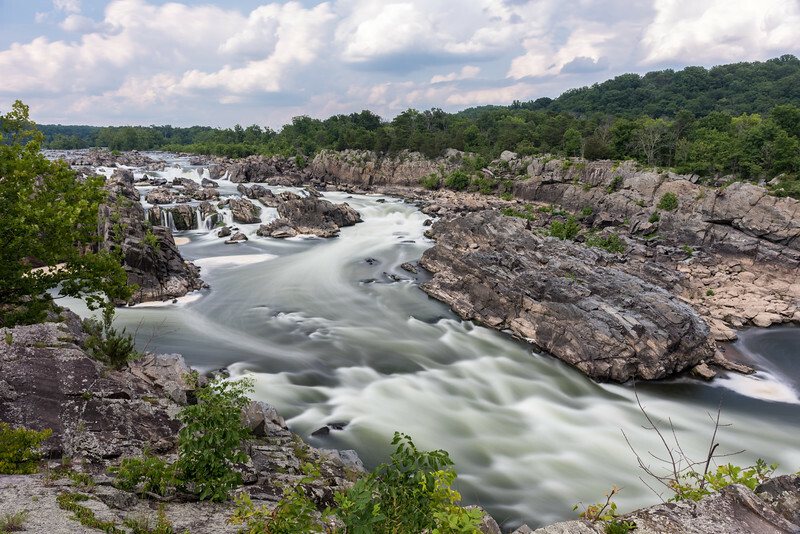 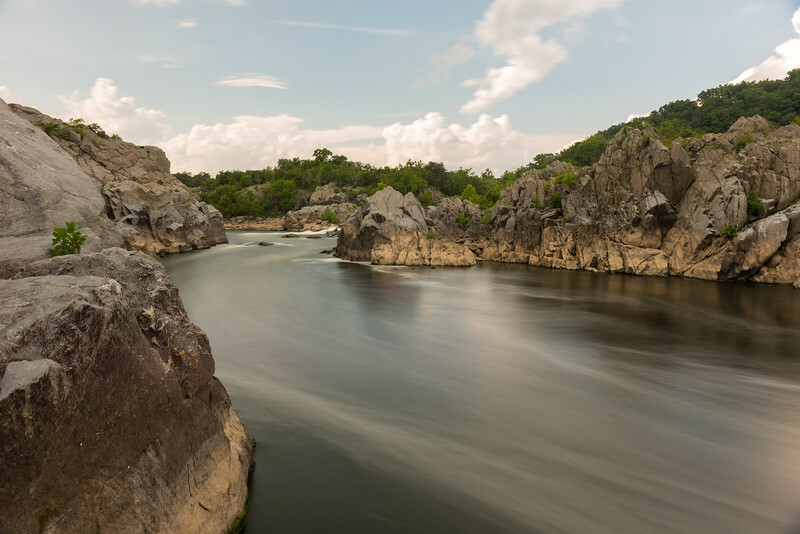 Great Falls Park in Virginia, United States. 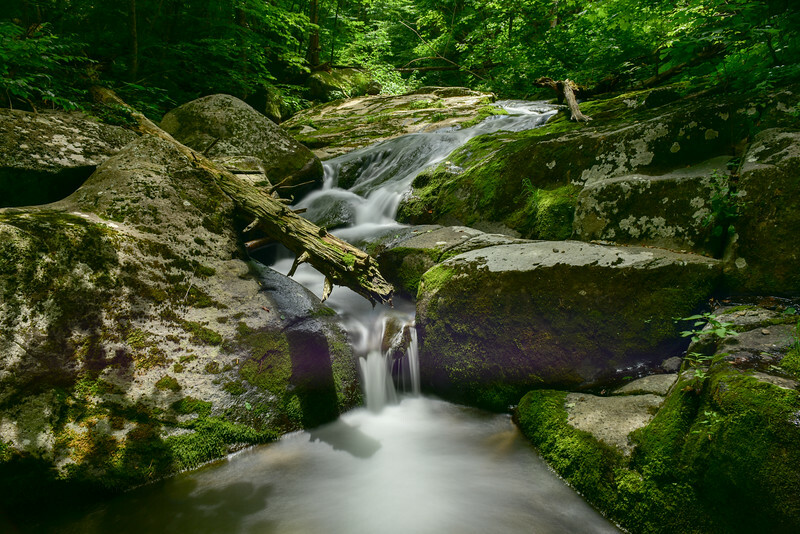 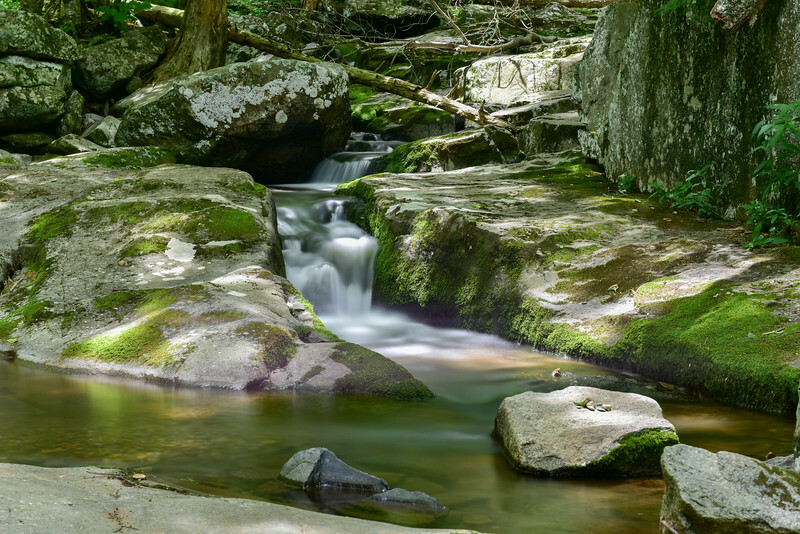 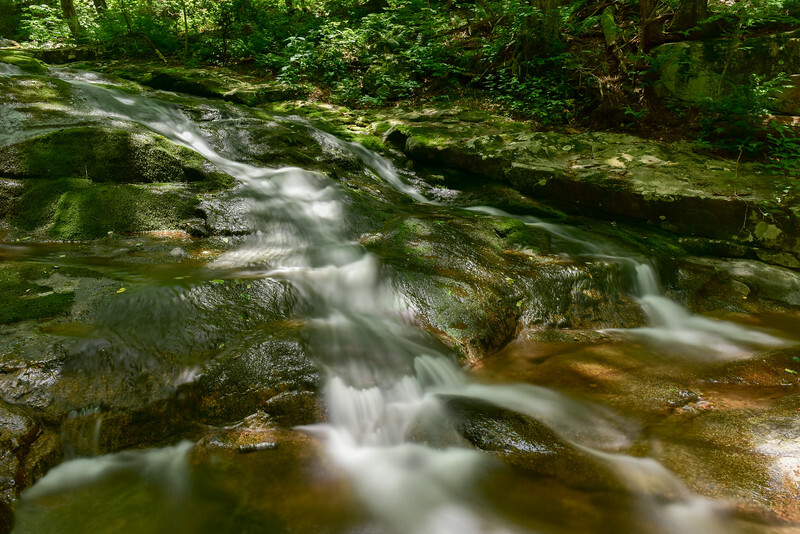 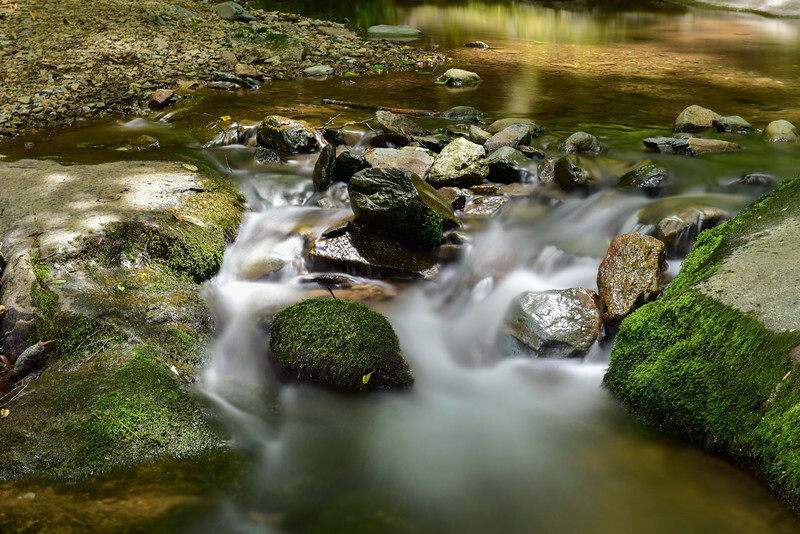 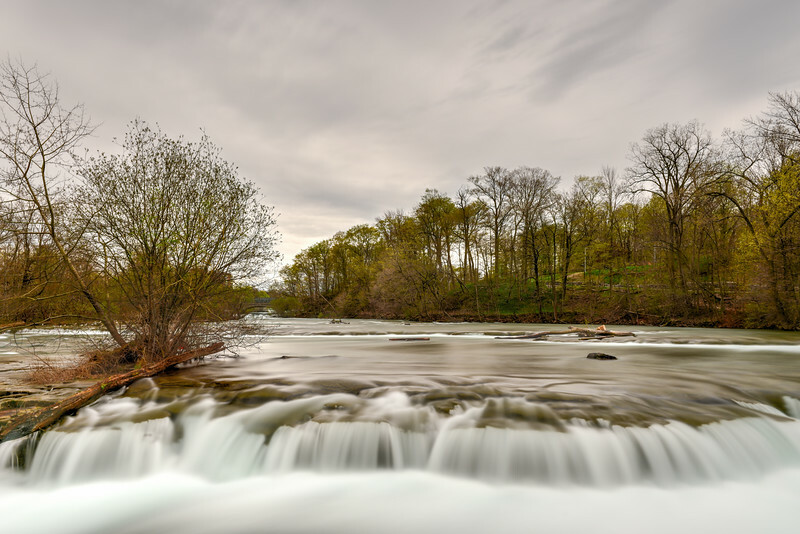 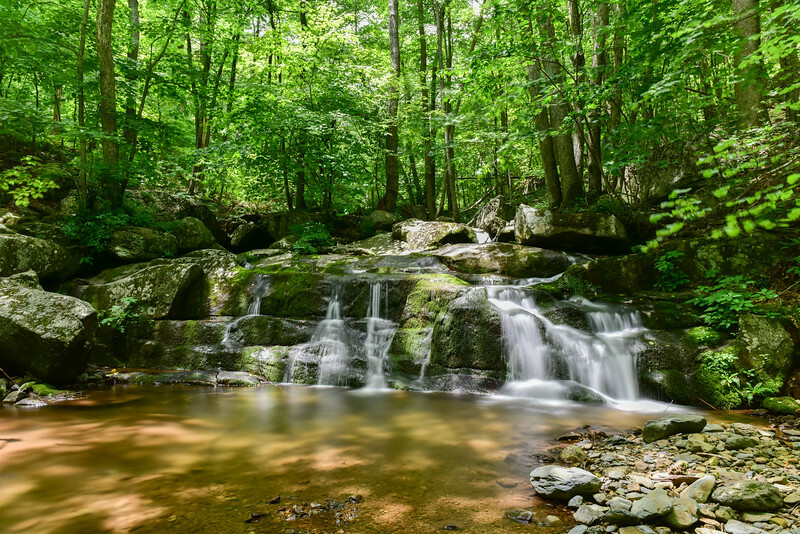 It is along the banks of the Potomac River in Northern Fairfax County.